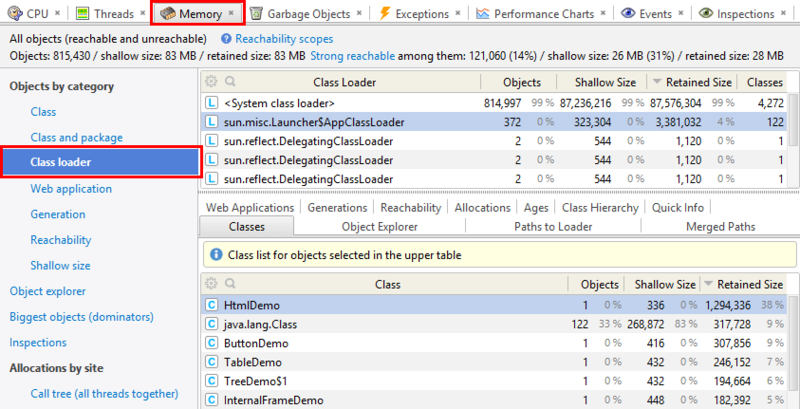 For each loader, the number of loaded classes is shown, as well as the number of classes without instances; this information can help in finding leaked loaders. Paths from GC roots to the loader object are explicitly available as a slave view "Paths to Loader". This allows you to learn why particular loader is retained in memory.